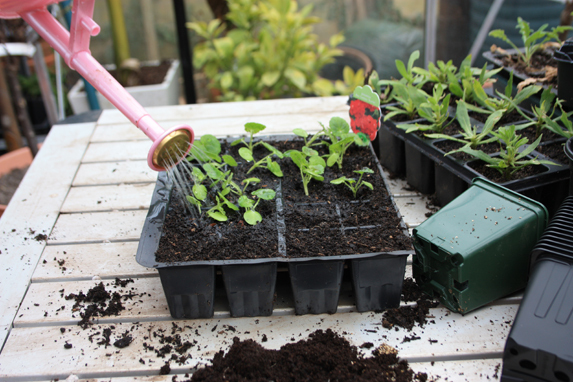 Water the seedlings and allow to drain. 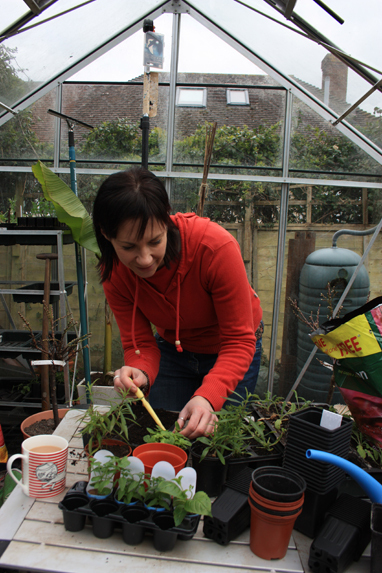 Fill a module tray or small pots with JI No 1 or multipurpose compost, tap lightly to settle. 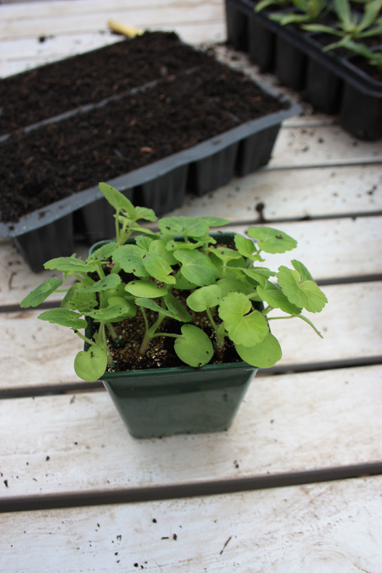 Turn the pot containing seedlings on its side, lift out the rootball with care. 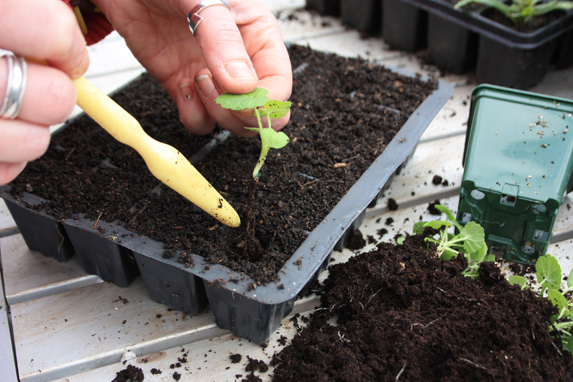 With your fingers, tease out individual seedlings. 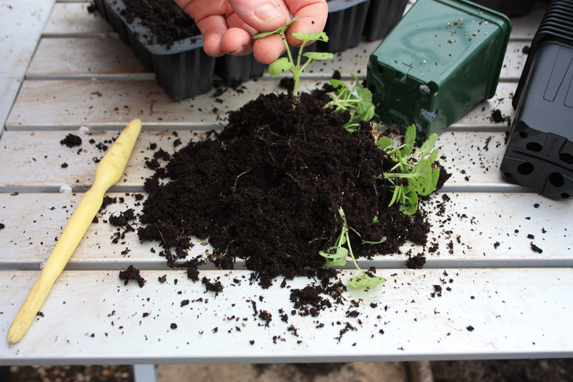 Remove the seedlings from the compost one at a time by gently holding one of the leaves. Use a dibber to help separate them if needed. 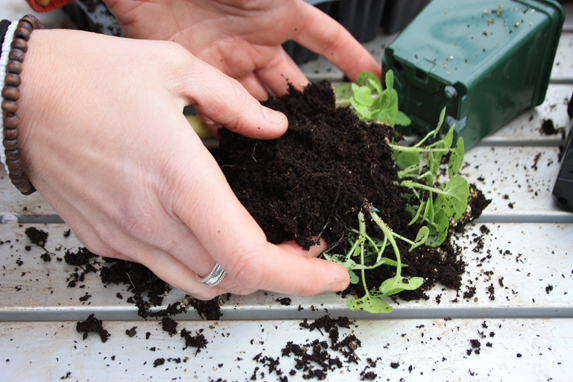 Make a hole in the compost using a dibber – one hole per cell – and gently lower the roots into it. Firm compost around the seedling. 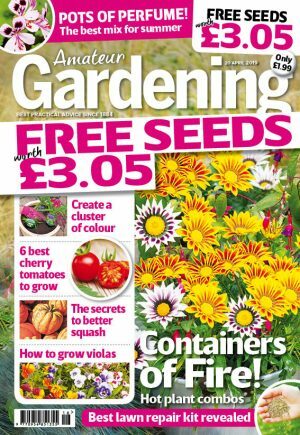 After the last seedling is pricked out and planted, water using a fine rosed watering can and place somewhere warm with good light.